The St. Cecilia Society is a group of music lovers that financially supports the yearly concert series, as well as special musical needs at St. Mark's church. 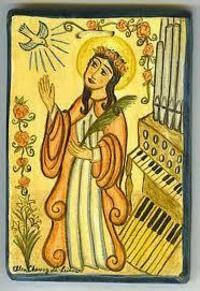 The Society is named after the patron saint of music and musicians, whose feast day is November 22. The first concert of Music at St. Mark's was held in July 1999, presented by pianist Alexander Tutunov. We welcome your financial contribution to The Saint Cecilia Society, which will allow us to continue the presentation of outstanding musical events. Please see the St. Cecilia brochure for details.